Following the sale of their biggest star Hakim Ziyech, it was expected that Heerenveen were going to start a long journey down a slippery slope this season. However, Ziyech has been very well replaced by new “De Superfriezen” fans favourite – Daley Sinkgraven. He is a product of the youth system of Heerenveen and also the son of Harry Sinkgraven, the former Groningen and Zwolle player. Daley had a breakthrough season in 2013/14 playing 17 games while starting five of them. His performances in this season were enough to attract the interest of some big clubs including Ajax, which wanted to snap him up during last summer after the departure of Daley Blind to Manchester United. However he has remained at Abe Lenstra and it seems that it was a good choice – he quickly became a central figure of Dwight Lodeweges side, he gets better every single match and soon will be ready for the next big step in his career. 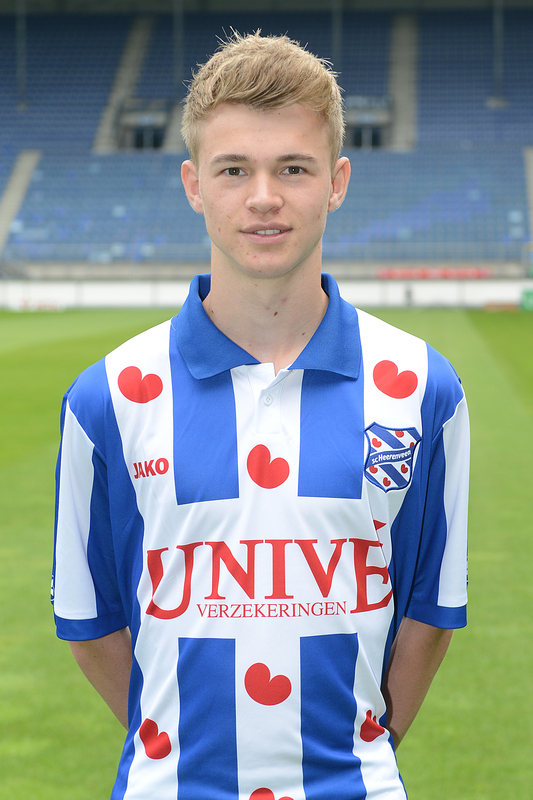 He represented the Netherlands national youth football team on U-17, U-18 and U-19 level. Currently he is a member of “Oranje” U-21 set-up.